If you’re trying to find the right eCommerce SEO company, then you are in the right place. We’ve evaluated 40 companies specializing in eCommerce SEO, 20 of which are presented in the table below. Note: We plan to add more eCommerce SEO agencies to this lists. After a detailed analysis, we compiled this table of the best SEO companies in 2019 with eCommerce specialization. Networking Bizz is a technology company with data-driven solutions to custom tailor your customer's experiences. Their strategies are in the best interest of the clients and aligned with their sales goals, exceeding all expectations. Innovaxis offers a variety of effective Chicago SEO services and smart strategies that generate revenue growth and qualified leads but also bring huge ROI. The experienced team works alongside clients to create marketing plans that work flawlessly for their business. Focused on e-commerce marketing, Inflow helps retail brands grow. They establish specific goals and then create strategies that 100% align with clients’ brands to meet those goals. The experienced team of Denver SEO optimization specialists stays ahead of the curve and offers great customer support. At Captivate Search Marketing, their philosophy on all things digital marketing is It Starts With Search®. They believe every aspect of a company's marketing strategy has an impact on SEO, and the team works closely with the clients to ensure they get the most out of the marketing plans. The eBizUniverse team works alongside clients to deliver a custom-designed website catered to the business’ unique needs. They approach and evaluate each project individually, ensuring the best possible outcome. Additionally, eBizUniverse is cost effective and provides a high ROI. Top-ranked boutique SEO firm in Los Angeles offering content marketing and digital PR services. The team helps businesses grow their organic visibility, which has resulted in brands getting exposure in publications like the New York Times, Forbes, and many others. SevenAtoms is a San Francisco SEO agency which utilizes cutting-edge methodology in order to significantly boost their clients’ ROI and makes use of the collective power of content marketing, SEO, and social media. They are among the most reputable players in the industry. E2M is a full stack digital agency specialized in Website Design & Development, eCommerce, SEO, Content Marketing, and Copywriting. Kern Media is a Denver SEO company that brings a unique combination of SEO best practices and content marketing expertise to get clients stellar results and grow their revenue. Its long-standing relationships and multiple verified case studies only prove Kern Media’s quality of work. As one of the top New York City SEO companies, Eventige leverages digital and traditional marketing to help businesses thrive. Their services are custom-tailored to clients’ goals and budgets. In addition, they provide amazing customer service and communication. G3 Group is one of the most reputable advertising agencies in Baltimore which offers a full range of services to its clients, including SEO, high-impact web design, and internet marketing. Their results-driven strategies help in increasing traffic and boosting leads. Make It Active specializes in providing complete marketing solutions at reasonable prices. They work with clients around the world and offer the best value for professional marketing services. Their goal is simple, to give clients the tools to help increase their revenue. Social SEO is a Colorado Springs SEO company with over 100 full-time employees who have helped hundreds of businesses succeed online. Boasting 20 years of experience in the field, this agency takes the practical approach of using KPIs based on customers’ business needs. Clever Solution gives the other top New York SEO firms a run for their money with the way its field experts committ to providing world-class, quality service. They care deeply for each client and work to achieve their goals and objectives while staying within their budget frame. Blue Water has worked with a diverse client list, which enabled the team to accumulate a broad set of knowledge that in turn helps them solve any digital marketing challenge that comes their way. Opus Media is a Baltimore SEO agency founded in 2008. Their affordable marketing solutions are based on thorough research and planning, and implemented in a coordinated manner, ensuring exceptional results. At Design Brooklyn, the team uses cutting-edge marketing techniques to offer new and unique solutions, custom tailored to clients’ goals, which boost their online presence. What’s more, their streamlined process helps this company go the extra mile and offer extremely competitive rates. The main focus of Ironpaper is using SEO and SEM to build clients’ visibility and generate leads. Their team uses results-driven strategies, successfully mixing creativity and strategic thinking to help clients grow over time and get them a huge ROI. Full Impact Studios is a Los Angeles based e-commerce development agency and e-commerce SEO experts. We specialize in web development, integrations, SEO, and marketing for the e-commerce industry only. Established in 2006 we have been in the e-commerce field for over 10+ years. Soft System’s services provide clients with top of the line results, ensuring consistent growth of their clients’ businesses. Quality and transparency, as well as integrity and commitment, are the core traits of this New York–based company. Whether a client needs an e-commerce website to sell more products or a corporate website to showcase their business, Edwardson.com can build websites efficiently and professionally with search engine optimization for the Boston area in mind. Make no mistake, optimizing an eCommerce website for search engines is not the same as optimizing any other type of website. First of all, eCommerce websites involve dynamic product pages, faceted navigation, creating many pages with the same content. The web store website optimization process also requires constant vigilance in order to find and document fixes to issues that may arise from duplicate content and page expiration. Every product page also requires a customized title and descriptive content. In most cases, the possibility of optimizing the product page with content is limited as well—creating thousand-word content for each product can do more harm than good. The content also has to be optimized for a different set of keywords (long tail and LSI). It’s crucial to choose product-focused keywords highly relevant to your business while considering their search volume and ranking difficulty. Conversion rate optimization, Schema, UX, usability, and bounce rate are additional, but crucial, search-engine-related factors that can add more value to an eCommerce website than a normal website. They help in making the visitors happy and transforming them into loyal customers. There are over a few hundred good SEO companies in the US alone. But not all of them are proficient in optimizing eCommerce websites. That being said, an eCommerce SEO expert or agency should be proficient in these research aspects to help an e-store to rank better. Considering these differences and additional difficulty involved in optimizing an eCommerce website, we chose to shortlist the best SEO companies with eCommerce specialization by filtering out the companies without eCommerce optimization experience. Now, let’s dive into the methodology details section and find out the other points of our evaluation. This section is a detailed guide on how to evaluate eCommerce companies based on numerous factors to identify the best amongst them. You can also use this guide to define your eCommerce goals in SEO terms and ask your company what deliverables they can provide. 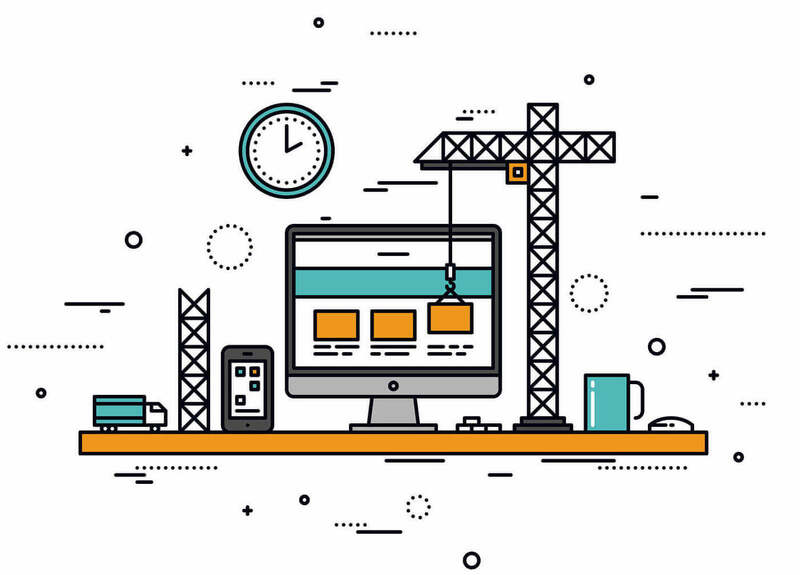 Building an impressive website with WordPress is an easy task, and there are more than enough SEO guides for rookie SEOs to show themselves off as experts in the field. The result is thousands of SEO companies popping up every year! To add to the pain, there are no certification authorities to help you choose the best eCommerce SEO company. But reviews and ratings in such a wild, open market can help you eliminate a big chunk of the companies that don’t specialize in eCommerce. This is the first thing we did in our evaluation of eCommerce agencies. Where did we find such reviews and ratings? Level of the company’s communication. If you’re doing the research yourself, you can probably exclude this step since it’s a long, boring, and cumbersome process. Instead, you can directly choose the best eCommerce SEO company for your business from our table (rest assured that all of them have positive eCommerce-related reviews and ratings on the internet). After filtering out the baseless, wannabe SEO companies, the next step of our analysis was reading reports and evaluating case studies and the previous work of the shortlisted companies. Ecommerce SEO campaigns are complex and include a large number of products and services. Analyzing the case studies helped us evaluate agencies for the factors discussed in the following sections. We gather such information from interviews and reviews around the web to compile a list of eCommerce SEO companies with experience in different eCommerce platforms. Even with the easiest on the list (WordPress), customizing a web store and optimizing all the on-page factors requires a great deal of proficiency and experience with those platforms. Make sure the company of your choice has enough experience in the platform of your choice. The next step of our evaluation is analyzing the approaches eCommerce SEO companies have adopted to build relevant backlinks. You need backlinks. They’re the most important factor in helping your website reach the first or second search engine ranking page. Only then can other crucial factors like on-page optimization, content optimization with keywords, conversion optimization can become relevant. This is the reality of most of the 2019 SEO projects, irrespective of the niche. Getting organic or natural backlinks is probably the hardest step for most SEO companies. Most of them either buy links or build links with cheap strategies that contradict Google and other top search engine guidelines. So, when choosing the eCommerce SEO agency for your business, it’s essential that you determine which strategies the agency typically uses to build links and what kinds of links they are promising. We ask companies what strategies they use. We check the link profiles of portfolio sites. Back in the day, it was all about buying links or building links with PBN or other public networks. In these modern times, the strategies revolve around acquiring links with proper content marketing. We’ve been in the industry for almost ten years now, which means we have tried almost every link acquisition strategy described online by pros like Brian Dean, and we are aware of all the latest strategies. By using our experience in the field, we filtered the best eCommerce SEO companies that use strategies complying with search engine guidelines. Unique, natural ways to get links to product pages. Besides links, another key factor a good SEO company excels at is targeting and optimizing content with the right keywords. With search engines working hard to understand the context and semantics of the words, the keyword research is much more than using Google Keyword Planner or other tools to discover a bunch of high- or low-volume keywords. SEO statistics show that LSI keywords and long tail keywords with buying intent are some of the dimensions crucial for present-day keyword research. How skilled is the eCommerce SEO company at using buying-intent keywords? How are they optimizing the content with keywords blended in naturally (while respecting context and writing content both for search engines and users)? What measures do they take to avoid keyword cannibalization? How capable are they at using long tail and LSI keywords? Make sure the company you plan to hire has experimented enough with finding the right keywords. There’s no denying that proper on-page optimization is as important as links. Like we said earlier, with evolving search engine technologies, links can probably get you to the top search results page. But securing a post in the top two or three spots depends on how well your website is optimized and how your meta descriptions on SERPs are converting. In short, your eCommerce SEO agency should be able to optimize every money-making page on your website for search engines.